Buy bike battery starting at Rs.672 at Vicky. No coupon code required. Hurry!!! offer valid for limited period. Buy waxpol car polish starting at Rs.15 at Vicky. No coupon code required. Hurry!!! offer valid for limited period. Buy bike battery starting at Rs.672 at Vicky. Buy waxpol car polish starting at Rs.15 at Vicky. Give us your email so we can send you Vicky Coupons once a day and our biweekly newsletter. Vicky.in is a leading India’s online store for buying and selling automobiles. In Vicky buy or sell used cars and bikes. The team of Vicky.in ensures to give 100% guaranteed and highly assured service to their valuable customers. Vicky provides new car research, a used car online buying and selling platform, exclusive car content, a community of car enthusiasts to interact with, and a lot more. At Vicky you can also have clear reviews about upcoming cars, recommended cars, and latest cars available all over India. This online store strives to maintain customer satisfaction and also ensure to give the best hassle-free online buying or selling experience to their customers. 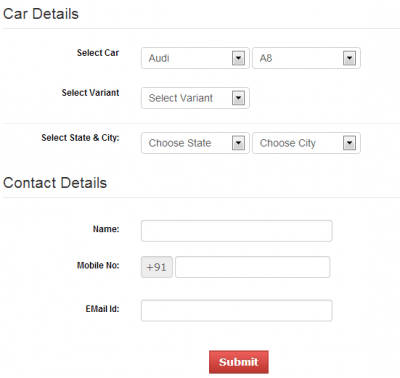 When buying car the most important thing is to know about the car specifications and its durability. In New Cars, find automobiles such as New Cars, Compare Cars, Car Specifications, Car Mileage, Car Dealers, Car Service Stations, Latest Cars in India, Upcoming Cars in India, and Car Pictures. In New Bikes category find products like Compare Bikes, Bike Specifications, Bike Mileage, Bike Dealers, Bike Service Stations, Latest Bikes in India, Upcoming Bikes in India, and Bike Pictures. Used Cars category includes Used Cars, Sell Car, Second Hand Car Dealers, and Used Car Valuation. 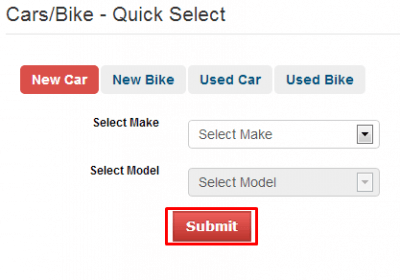 In Used Bikes category you can find products like Used Bikes, Sell Bike, and Used Bike Valuation. Other Vehicles includes Cycles, E-Bikes, Trucks, Commercial Vehicles, and Buses. In Research category you can find products such as Finance, Insurance, Car Accessories, and Car Accessories Shops. In Vicky also find Used Car Valuation, Bike Accessories Price List, Second Hand Scooters, LPG cars in India, Upcoming Scooters In India, and Certified Used Cars. Other than cars, in Vicky you can also find Bikes category where get new and used bikes as well to buy or to sell. Here in Bikes category you can find sections like Used Bikes, Sell Bikes, Upcoming Bikes, Compare Bikes, Bike News, Scooters, Two Wheelers, Bike Prices, and Latest Bikes. The Bikes includes Hero MotoCorp, Bajaj, Honda, Yamaha, Royal Enfield, TVS, BMW, Harley Davidson, KTM, Suzuki, Triumph, Ducati, Mahindra Global Automobiles, Kawasaki, Aprilia, Genxt Power, Kanda Motors, Monto Motors, Indian Motorcycle, Kinetic, LML, Moto Guzzi, MV Agusta, Oshiro, Victory Motorcycles, and Yezdi. The bikes at Vicky are Bajaj Pulsar 150, Honda Shine, TVS Apache RTR 180 2007, Yamaha Fazer, Hero MotoCorp Impulse, Honda CB Twister and more. In Used Cars section find Used Cars, Buy Used Cars, and Dealers Showroom. Purchase cars and bikes used or new from Vicky online store for lowest price. There are convenient payment modes at this online automobiles showroom website. Get easy return and cancellation policy on the entire automobile sold online at this store. The customer support executives of Vicky online store are responsive and they guide in every step of purchasing made. 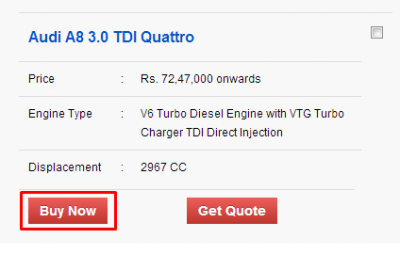 With Vicky discount coupons and Vicky promo codes you can get automobiles for cheaper price with huge discounts. In online website Couponrani.com find Vicky coupons and Vicky voucher codes. Vicky.in is an online store for exclusive deals on cars and bikes. They offer customers to buy or sell car and bike. Find the offers on Tata Nano, Tata Indica, Tata manza and Ford Figo. Also, do research on the vehicle requirements like insurance, finance, and car accessories. Select type of your vehicle and model and get hundreds of deals listed out. By utilizing the Vicky voucher codes and shop with huge discounts. Coupon codes usage will cut the charges and deal price. At CouponRani, find the exclusive discount offers and coupon offers from Gaadi, Snapdeal, Amazon India & Flipkart and more.